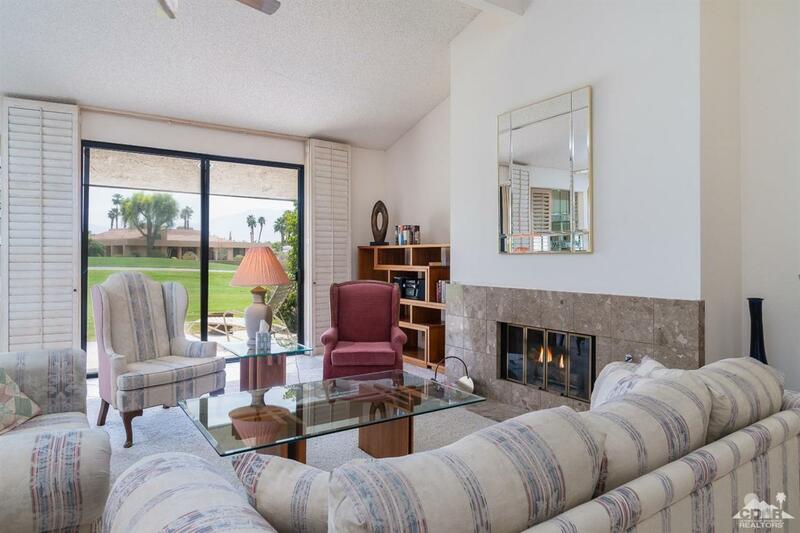 Sought after end unit in gated Montego Circle. 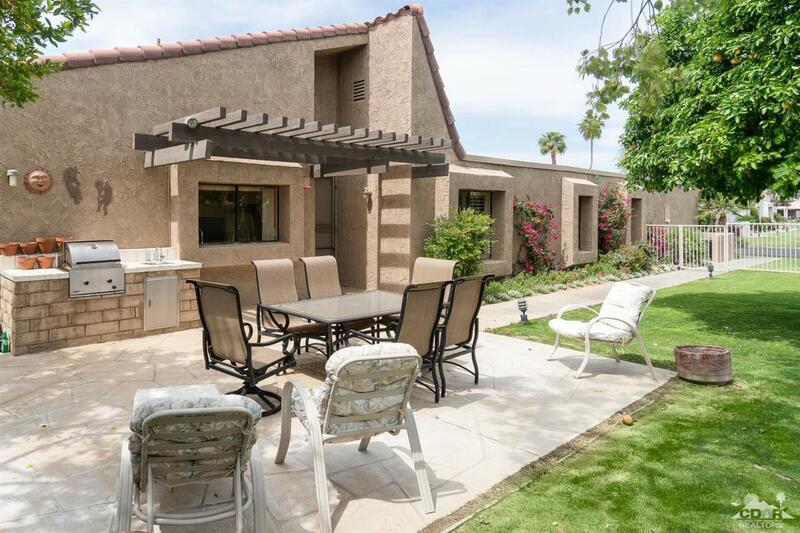 There is a gated large side yard with patio and built-in BBQ island to enjoy, as well as the rear patio with southern mountain and golf course views. The third bedroom and atrium have been converted into a large family room/office with skylights. The master suite has a walk-in closet and private bathroom with spacious shower. Second bedroom with access to full bathroom. Kitchen is open to a dining area which has been expanded. 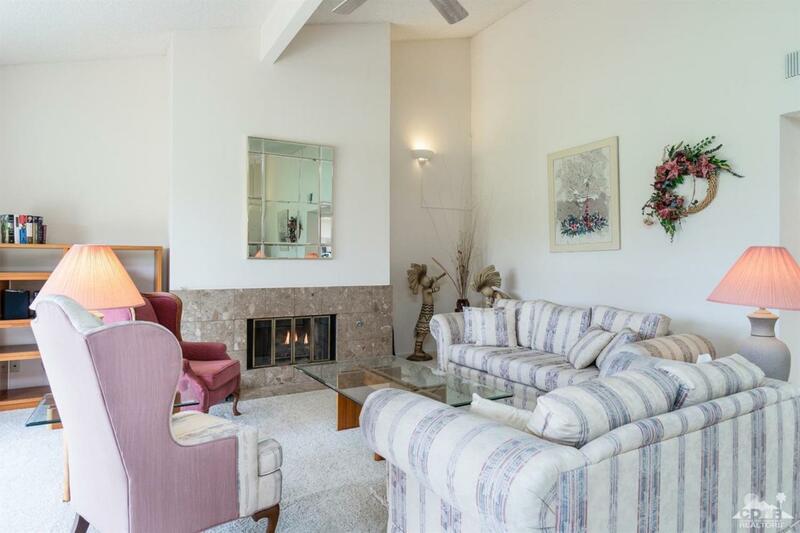 Living room with cozy fireplace for those cooler evenings has slider and window letting in tons of light and southern mountain and golf course views. Oversized two-car garage plus separate golf cart garage. Steps to community pool/spa and tennis court. Security dues of $181 include cable TV w/Showtime & HBO and internet plus 24-hour guard gated security. Circle HOA dues include exterior maintenance (incl. roof), gardening, pool/spas, tennis court, fire & liability insurance, water and trash!! Listing provided courtesy of Diane Flaherty of Hk Lane Real Estate.